A system of nested dichotomies (NDs) is a method of decomposing a multiclass problem into a collection of binary problems. Such a system recursively applies binary splits to divide the set of classes into two subsets, and trains a binary classifier for each split. Many methods have been proposed to perform this split, each with various advantages and disadvantages. 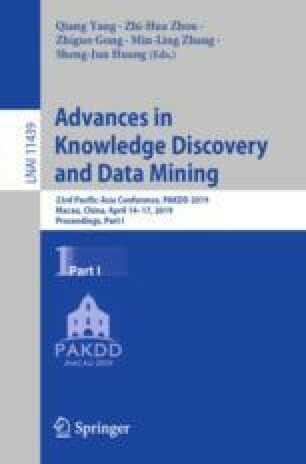 In this paper, we present a simple, general method for improving the predictive performance of NDs produced by any subset selection techniques that employ randomness to construct the subsets. We provide a theoretical expectation for performance improvements, as well as empirical results showing that our method improves the root mean squared error of NDs, regardless of whether they are employed as an individual model or in an ensemble setting. The online version of this chapter ( https://doi.org/10.1007/978-3-030-16148-4_7) contains supplementary material, which is available to authorized users.